The ruling clears the way for the formation of a commission consisting of representatives from both towns to consider both the benefits and drawbacks of a merger. Roxbury TEAM and the other petitioning group, Mount Arlington TEAM, formed in 2012, and each collected more than 400 signatures from the respective municipalities. According to the 2010 Census, Roxbury has about 23,000 residents, while Mount Arlington has about 5,000. The process follows the guidelines of the Municipal Consolidation Act of 2007. Gov Chris Christie has supported the potential cost savings of consolidation and other shared service agreements, saying during a spring town hall meeting in Flemington that “provincial selfishness,” as well as civil service and collective bargaining rules, are blocking towns from realizing property-tax savings through municipal mergers. Rogers said that the final job of the petitioners is to recruit unpaid professionals to staff the currently unfunded commission and they are in the process of soliciting resumes. Four voting members and one non-voting alternate member from each town will be selected by the petitioners, with each town also permitted to appoint one voting member and alternate provided they do so within 90 days. It is possible for members of the petitioning groups to become commissioners, Rogers said, although he declined to say if he would apply for a seat. With a representative from the state Department of Community Affairs and, because Mount Arlington already sends its high school age students to Roxbury, another representative from the Department of Education, “there will be 16 people in the room” when the commission meets. “We hope the first meeting could be in September,” Rogers said. Ondish won a heated Republican primary battle last month against Councilwoman Paula Danchuk, who favored the formation of the commission. 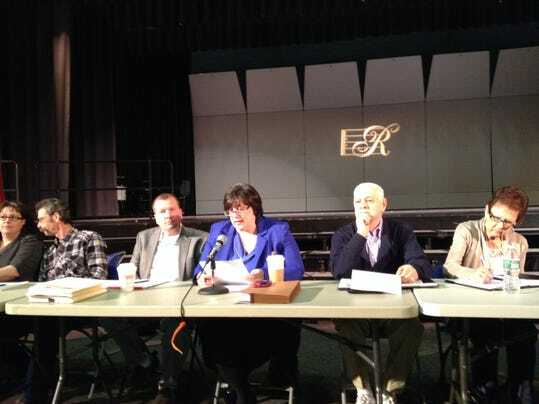 “The solution is to provide benefits for both townships and then let the public decide in the election process,” said Craig Heard, another Roxbury resident and petitioner. The Local Finance Board decision was unanimous, according to Tammori Petty, director of communications for the New Jersey Department of Community Affairs. She also said no one testified in opposition to the plan.